The 2018 Volkswagen Tiguan was made for cruising the streets of West Valley, Murray City, Orem, and beyond. To make sure you enjoy it for a long time, you’ll need to keep up with regular maintenance. In this 2018 Volkswagen Tiguan maintenance schedule, we’ll tell you the work needed at a given mileage interval. 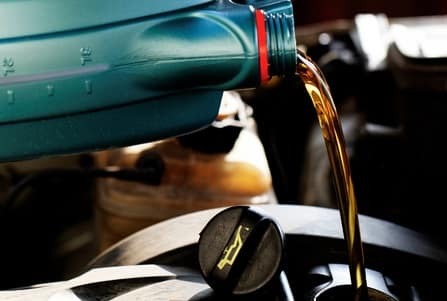 This way, you can feel confident that your vehicle is getting the service it needs to stay in tip-top shape. Read through the guide below, and contact us at Volkswagen SouthTowne if you have any questions. Check the brake pads, specifically brake pad thickness and brake disc condition, in the front and rear. Reset service interval display, if applicable. Check automatic headlight control, if equipped. Check engine and engine compartment components for leaks and damage from above and below. Also check the transmission, final drive, and drive shaft boots. Check exterior lighting: front and rear lights, headlights, turn signals, and cornering and hazard lights. Check headlight washing system, if equipped. Check second battery, if applicable. Check braking, kick-down, steering, electrical, heating and ventilation systems, air conditioning, handling, and parking brake during a test drive. Calibrate the tire pressure monitoring system to the correct tire pressure settings. Check tire repair kit for damage and prior use. Check the condition and wear pattern of the tires; record tread depth. Bring wiper blades into the service position, and check for damage. Visually inspect ball joints, wheel bearings, axles, coupling rods, tie rod ends, and stabilizer bushings for damage and play. Visually inspect body interior and exterior for corrosion. Visually inspect brake system for leaks and damage. Check exhaust system for damage and leaks. Inspect front and rear coil springs and shock absorbers. Check interior lighting: glove box lights, cigarette lighter/power outlets, luggage compartment, and all warning lights. Check condition of the ribbed belt. Check, clean, and lubricate sunroof and panoramic sunroof, if applicable. Visually inspect the underbody protection, trim panels, wire routing, and plugs for damage. Visually inspect windshield for damage. When the Tiguan reaches 80,000 miles, you’ll follow the 40,000-mile check, plus change the fluid and filter of the automatic (non-DSG) transmission. If the vehicle continues to run well after 120,000 miles, then you’ve done a great job at keeping up with the needed maintenance. During this check, the only new work that’ll have to get completed is replacing the air filter element, along with cleaning the snow screen and housing. If your Volkswagen Tiguan needs maintenance completed near West Valley, Murray City, or Orem, don’t wait. 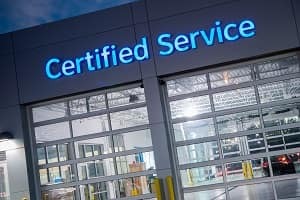 Schedule a service appointment at Volkswagen SouthTowne today!